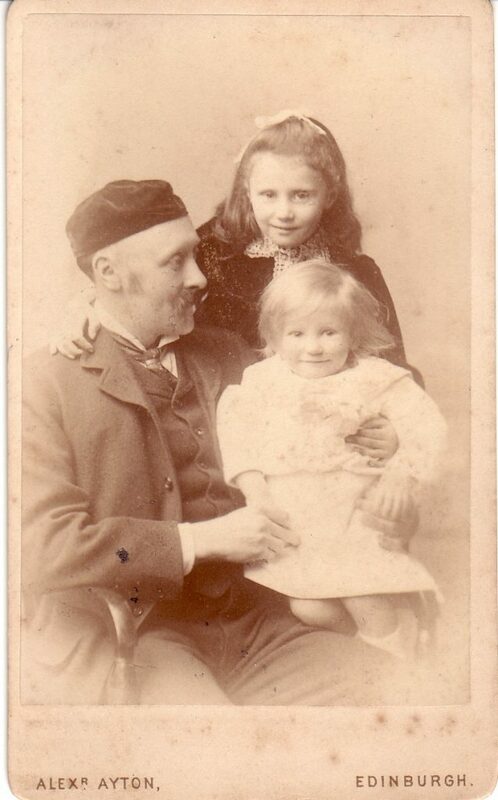 Regius Keeper Isaac Bayley Balfour with his daughter Senga and 1 year old son Isaac, known as ‘Bay’. Original photo in possession of a member of Balfour’s family. During the initial few months of the First World War 56 men out of a total male staff of around 88 at RBGE enlisted, rising to 73 by the end of the War. Isaac Bayley Balfour was RBGE’s Regius Keeper throughout the War years and it must have been devastating for him and the remaining staff to hear of injury and losses amongst their colleagues fighting overseas. In June 1915 however, Balfour suffered a more personal blow – the death of his son, also named Isaac Bayley Balfour, or ‘Bay’ for short, in Gallipoli. Bay Balfour in 1901. Original photo in possession of a member of Balfour’s family. 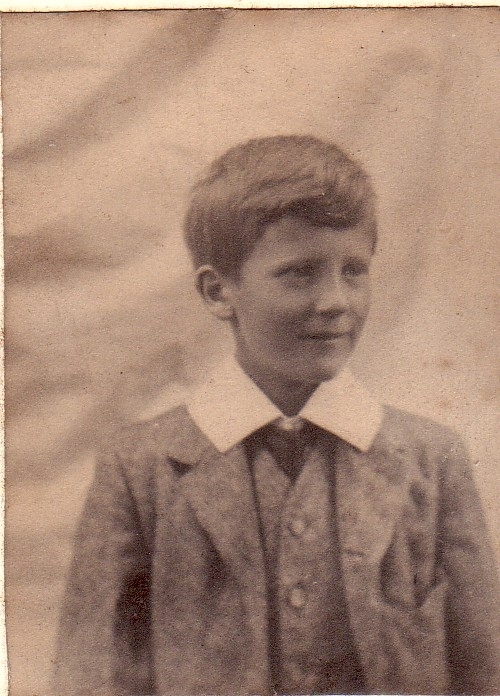 Bay was born to Isaac Bayley Balfour and his wife Agnes on the 19th October 1889, the year after Balfour became Regius Keeper at RBGE, meaning Bay would have spent his childhood with older sister Senga in Inverleith House within the Garden grounds, at that time the Regius Keeper’s residence. He attended Winchester College between 1903 and 1908, before enrolling at Magdalen College, Oxford where he took up art, intending to be a professional portrait painter. He must also have had a connection with Edinburgh University (perhaps the fact his father was Professor of Botany there?) as he appears in their Roll of Honour, albeit in a section after the initial list of names. Here it is stated that Bay was trained by the University’s Officer Training Corps between September and November 1914, before being gazetted to the 14th Royal Scots on the 14th January (The Scotsman), a Home Regiment, quickly becoming a Lieutenant, before becoming attached to the 1st King’s Own Scottish Borderers (KOSB) and being sent to Gallipoli in April 1915. As part of the 87th Brigade of the 29th Division, Lieutenant Balfour would have played a prominent part in the three Battles of Krithia, fought between April and June, intended by the Allies to take control of the village of Krithia in the Gallipoli Peninsula, and the nearby hill top position at Achi Baba. By the end of June 1915 the military objectives had been changed to the theoretically more achievable ambition of taking the first opposing trenches across No Man’s Land, and of making slow but sure progress along the peninsula. This was the aim of the Battle of Gully Ravine, initiated on the 28th June 1915. It was on this day that Bay Balfour was killed, leading his troops over the top of the KOSB trenches on the Gully Spur into battle at 11am after a two hour artillery bombardment of the Turkish trenches. His grave can now be found at the nearby Twelve Tree Copse cemetery. Isaac Bayley ‘Bay’ Balfour, reproduced with kind permission of the Winchester College Archives. to show How much and little t’others know. With mischief dancing in your eyes. With tattered gown and eager feet. And all our races yet to run. Have done all that a man can do. Until you shone among the dead. We’ll walk together, you and I.
Click here for Bay’s obituary from the Winchester College at War web page. Click here for Bay’s entry in the Edinburgh University Roll of Honour. With thanks to Suzanne Foster and the Winchester College Archives for permission to use their material in this blog post, and to members of the Balfour family for providing copies of their photographs and their support over the years. The book ‘Gully Ravine: Gallipoli’ by Stephen Chambers, Pen & Sword Books Ltd, 2003 was used to research the Battle of Gully Ravine, 28th June 1915.